When the Apple Watch was first announced, I didn't get it. It's aspirations of connecting friends seemed pretty lofty. Once it was finally released I got to try one on and I had to admit it looked great. It was definitely a pricey accessory. 18 months later and I pre-ordered my very own. The Series 2 Apple Watch was waterproof, was faster, supported third party apps and my last health tracker had been through it's sixth life. Over the past 2 years I feel like I've made great use of my Apple Watch and have been pleasantly surprised at how many friends and family have an Apple Watch of their own allowing us to track and compete together. And while one of the apps I want to highlight contribute towards the competition, I wanted to highlight the apps that really make a difference and provide great convenience. Tracking my activity has been one of the most important reasons for owning an Apple Watch. There are a couple of areas it falls short, but they'll be rectified in watchOS 5. Firstly, the ability to detect workouts. If you take walks, starting an activity on your watch is not the thing you think of doing first. Often there are times when I've walked and forgotten completely. Now, this isn't necessarily a big deal in itself as the amount of steps taken and calories burned are all recorded, the 'important' bit missing is a contribution to the exercise ring. Having goals and achievements are all well and good, but making you think about them too can make them a burden. I don't get to run, but I've heard plenty of criticisms of how it tracks runs. 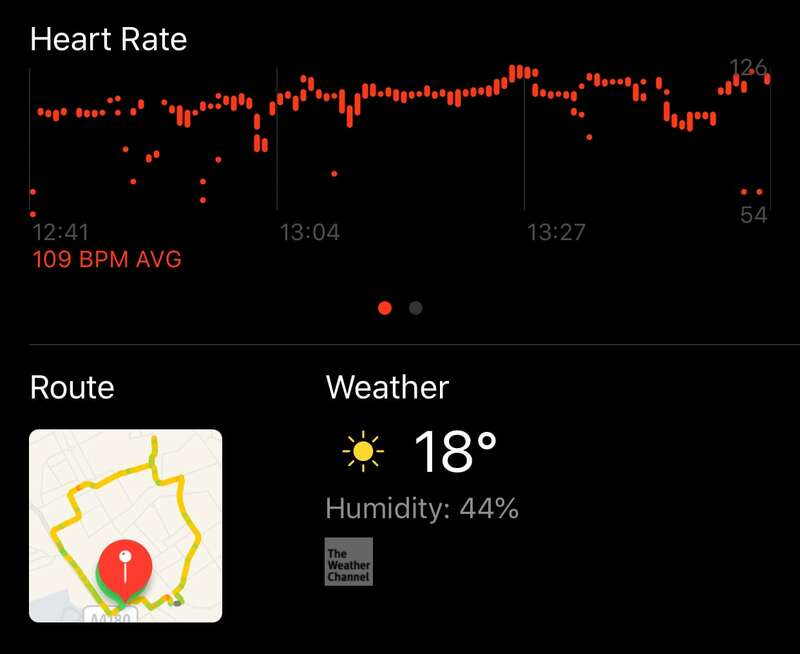 Again, watchOS 5 brings with it enhancements for how it tracks running so I'm sure these will be very welcome. Below is a small portion of what's shown when you track something like a walk with the Workout app. Being water proof was important to me too. I had good, and real, intentions of going swimming but it's not something I've had much time to do so. I really should look at changing that. Sleep++ is an app by David Smith that now tracks your sleep automatically. Before, you had to hit start and stop in the app but it now reads your health information and determines, fairly accurately, how long you slept for and the quality of that sleep. I find myself adjusting the start and stop times manually every now and then, but for the most part it's right and as it syncs with HealthKit, you have a log of all your data in a central place. Given that Apple claim 18 hours of battery, it’s likely that you’ll be charging overnight to get through the next day and I don’t think they’d really anticipated the Watch being worn to bed. 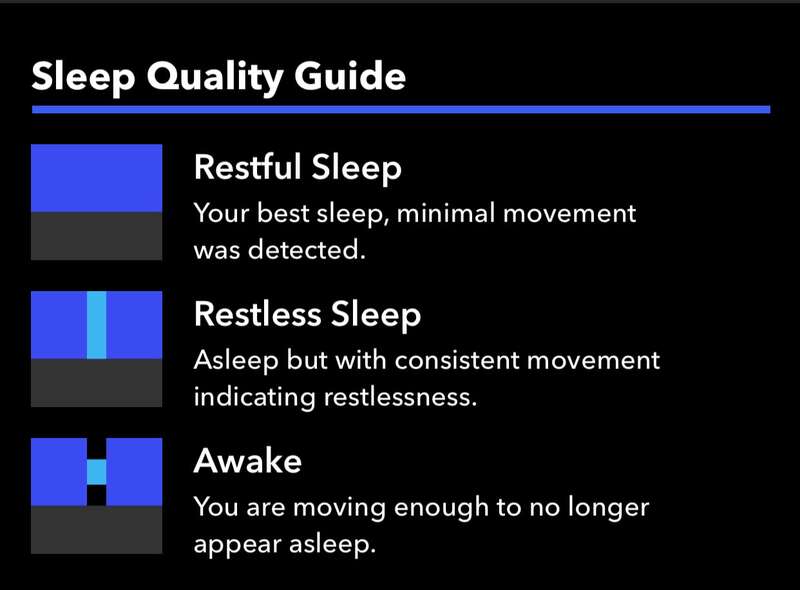 Turns out it’s great at tracking sleep so it would be good to see this become a core feature but until then, Sleep++ is more than good enough. With a small collection of HomeKit devices, the Home app has been handy at bed time, allowing me to turn off the lights with a few taps when my phone has been out of reach. You can even adjust the brightness of bulbs and the colour too, but only to the colours you've assigned as one of the 6 commonly used for bulbs. For all the good the Apple Watch and it's apps can do, there are some frustrating things about them too. View and complete is all you can do in the reminders app. With Siri, you can create them, but it's not the same because Siri isn't perfect as 'she' can get the time or wording wrong. Or worse still the time is ignored and you get what is effectively an orphaned reminder. The Maps app is pretty bad for directions I've found and even worse if you trying to navigate when using Apple Maps on your phone. The vibrations begin on your wrist while driving which can be distracting. I've also found that you don't get them until after some time has passed by which time I've either given up and switched to Google Maps.